With the Altador Cup (AC) only a few weeks away, the hype is building up to what will be, once again, a spectacular climax. The fifth AC is set to be the biggest yet, with many new and old players alike joining in the battle to become the next winning team. The loyal players know how to show off who they’re supporting, but many Neopians lack ideas of how to show their support, so I bring you: The Top Ten Ways to support your AC Team! If you just love a bit of interior designing, revamping your neohome to show your support for your respective team could be just the thing for you! Be imaginative with colour schemes, using more than just your team’s AC colours to create a stylish neohome as well as stunning your teammates with your commitment to the team. All the CSS masters flaunt their skills around the time of the AC, working their magic to create stunning user lookups that clearly show who they are supporting this year. But remember to try and keep it original – if you’re supporting Brightvale, a Wheel of Knowledge lookup could look very slick but still subtly reveal your loyalties in this year’s AC. However, don’t despair if CSS isn’t your thing, there are plenty of pre-made lookups ready to be used at Neopets Affiliated Sites. Perhaps you enjoy working with graphics and CSS, but creating a whole user lookup isn’t feasible due to lack of time. Creating banners to support your team is the perfect compromise, advertising your loyalties to other players through your shop or just through your user lookup is achievable with banners and buttons. Furthermore, if you are generous enough to give the coding for the buttons, fellow team members who have less time than you can still use them to show their support for the team. The recruiting has already begun now the Festival of Neggs has finished; the boards are being swamped with people attempting to gain new supporters. Go out there and campaign! The first few days when the practise games are available are the crucial moments in which old members drive for more members to join their team. Join in the fray and get more members signing up to join you. But remember, you want members who work hard in order to have the best chances of winning. Support petpages show that you’re committed to the team and could help in recruiting new members. If you link your petpage to the board or neomail where you’re advertising, it is possible to attract more experienced members who have gone off their current team. Plus, it’s a really fun thing to do! Perhaps make it an account of your neopets’ experience at last year’s AC, and add in some comedy to keep readers interested. Write a funny poem and put it up to make people laugh! You could also submit this for the poetry contest. Posting on your appropriate team’s neoboards is really important as it keeps team morale up, and the higher morale, the more likely people will submit scores and the better chances of your team winning! It is also a great team to make lots of new friends, which makes the AC so much fun. This is a major overhaul/project for some people, so you may want to start making your gallery for next year’s AC! Taking inspiration from your team’s land, why not create a themed gallery based on it? You could be more specific than just ‘Darigan Citadel’ by going for ‘The Evilest Petpets’ specifying your theme and making it a bit more edgy and unique. Plus, with a specified theme, it is more realistic that eventually you could complete the gallery. And this doesn’t mean just putting your team’s flag background on your pet and leaving them as they are, or putting the Shenkuu Warrior Superpack on them because you support Shenkuu. Be imaginative! You can have so much fun (and spend so many neopoints!) on customising your pet to fit your team’s colours. Supposing your team is Terror Mountain. The usual cliché would be to have an ice pet with ice background and ice trinkets etc. However, if you are lucky enough to have an ice pet, why not have have negg trinkets and negg garland? After all, Kari resides in the Ice Caves. Just try and be creative to make your team stand out! If you enjoy customising, why not customise all your pets? 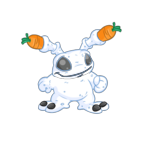 Use their petpets and petpetpets to enhance their themes. This links in very much with customising your active pet to support your team, as when you post on the neoboards your active pet is visible along with your avatar, font and neosignature. I would recommend choosing your avatar first, say you were supporting Meridell, Kiss the Mortog, Meridell Knight and the Turtum avatars are perfect. I will choose the turtum avatar for demonstration purposes. The colour scheme of the font in the neosignature should include red/blue but find the balance between these two strong colours and maybe a pastel/lighter colour for your actual font so that your post doesn’t clash or look to strong. This combined with a Snargan-customised pet would be very effective! It sounds hard, but just experiment until you are happy with the result! If you’ve followed all of the above steps – Congratulations! You are officially a fantastic supported of your AC team. Sorry, what? I’ve only mentioned nine steps... oh, of course! The hype and excitement of the AC often sweeps many people away like a tidal wave, meaning they forget the truth behind what the AC is for. The AC is a time for many Neopians to come together and have a great time supporting their individual teams. So to support your team fully, by playing the AC games, giving them the best chance of winning. But, the AC teams are not the Neopets in the teams, or the worlds where the Neopets come from, but the Neopians in the teams. So, to support your team, support your new friends you make in the AC, when they’re down and blue. Support the other teams too, and take losing well. A bad winner is just as bad as a bad loser, so make sure you are kind to the other teams when you beat them. That is how to truly support your team and to support the AC as a whole. The AC is for enjoying and having a great time! If everyone wants that, this year’s AC will be fantastic.